Suitable for long-term tenants, families with children, non-smoking. The bedroom has a double bed (1.80 m x 2.00 m), in the living room a pull-out very comfortable sofa bed (1.40 mx 1.90 m) and a couch with sleeping function (1.20 mx 1.70 m). On request, we also provide a cot for free. Kitchen is equipped in div. Cooking utensils: pots / pans, small cooking plate, toaster, fridge-freezer. There is also a kettle, coffee maker, crockery and cutlery available. The apartment also has a flatscreen TV and wireless high-speed Internet access. The whole apartment is at your disposal, our garden can be used to chill and barbecue. Car can be conveniently parked in front of the house. 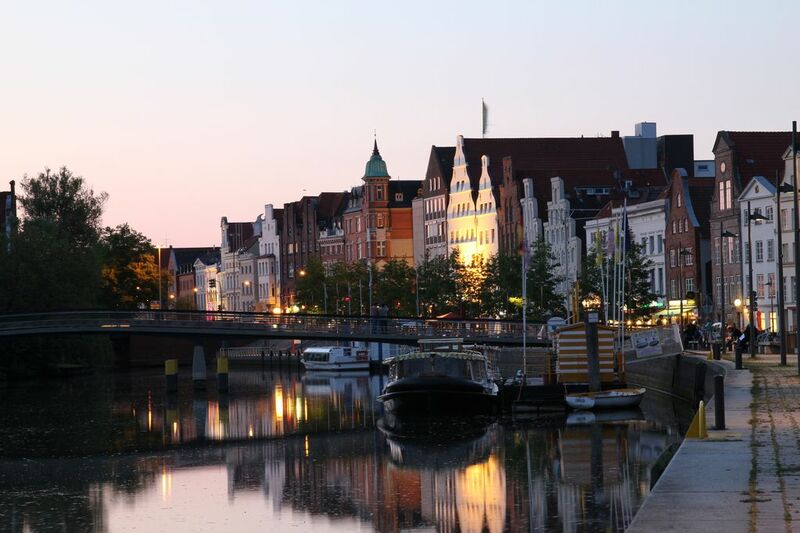 The city center of Lübeck is about 8km (15min by car) and a shopping center about 3km away. HANSA Park and several Baltic Sea beaches such. B. Timmendorfer Strand or Travemünde are about 20 km away. Do not fancy sea? No problem, the Ratzeburgersee is located in about 20km and the Holstein Switzerland in about 30km distance. In the vicinity of Hamberge are several horse farms. Very comfortable, cosy and clean place. As family of four we enjoyed every moment in the Lubeck area and the apartment as well. After long and intense day absolutely gorgeous place to stay. Sauber, ruhig und gemütlich. Gastgeber sehr zuvorkommend. Nur 3km nach Lübeck. Würden wieder dort einen Aufenthalt buchen.